Argh! My website is invisible! So you’ve made a kickass website for your radio show, podcast or station. It does everything you want it to do. But did you know that to some of your users your website could be invisible? To others, your website might be confusing and hard to navigate because of cognitive disability or low literacy? The accessibility of public institutions is required by law, under the Disability Discrimination Act 1992. While we are all familiar with the need to have ramps in our buildings, we are less likely to have considered if our web interfaces with the community are accessible. Challenges to people with a disability in accessing web content can be visual, cognitive, motor skills or hearing-related. 1 in 5 Australians have a disability (ABS 2015). 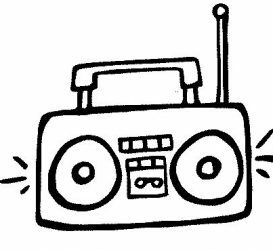 Of the over 5 million Australians who listen to community radio, around 30% of them have a disability, while 11% of all listeners have a vision impairment or blindness. In a 2012 survey, as many at 44% of Australians have low literacy, making everyday tasks that require reading and understanding difficult (ABS 2012). According to a Vision 2020 report (2015) there are 575,000 people who are blind or vision impaired currently living in Australia. Vision Australia predict that the number of Australians who are blind or have low vision will grow to 564,000 by 2030. The blind use screen readers to access the digital environment, essentially reading aloud your web content to users, from top to bottom, with software such as NVDA or JAWS. Screen readers are also used by some people with cognitive or learning disabilities who may find reading challenging, as an additional way to absorb content. Unfortunately some web content is not compatible with screen readers, so is essentially invisible. Some widgets in WordPress and other CMS. All these problems are easily fixed or avoided! Get your users to test it! If you have a blind or vision-impaired volunteer, why not seek their advice on what works for them? For more detail about how a screen reader works with a website see https://webaim.org/techniques/screenreader/ In fact Webaim here: https://webaim.org/ is your most valuable resource when thinking about how to make your internet presence accessible. The A11y Project (“A community-driven effort to make web accessibility easier”) also offers this checklist for web developers that you can check off while editing your code (warning: jargon and code!) https://a11yproject.com/checklist Also many other useful tools at this site for developers. If it’s all too much for you, and let’s face it, web dev is highly technical and needs good attention to detail, you can find numerous services offering to help you become accessible for a fee such as Media Access Australia and others. Kim Stewart is a Doctoral researcher at Queensland University of Technology and community radio producer at 4ZZZ. She coordinates the Ability Radio Project, getting the voices of PWD onto the airwaves straight from the local community.